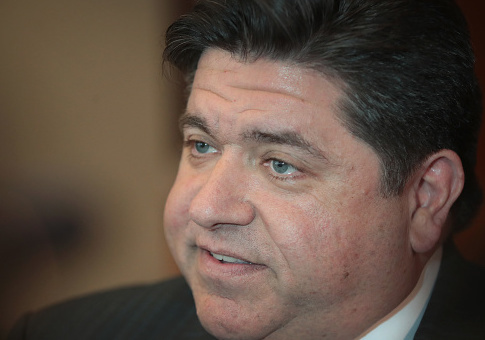 The investment firm of JB Pritzker, the Democratic nominee for governor of Illinois, purchased a company that eventually settled a lawsuit with the U.S. Department of Labor for failing to fully pay employees their wages and overtime pay. The same company, Apollo Industries, is also believed to be under investigation for a major chemical spill in the Chattahoochee River in north Georgia. According to court filings, the allegations of wage theft by Apollo Industries (since renamed Plaze) date back to 2012. A company already owned by Pritzker took over Apollo Industries in November of 2015. The Labor Department filed suit against the company in February 2016, accusing it of "failing to pay employees for some hours worked in some work weeks and failing to compensate some employees at a rate of at least $7.25 per hour," and "failing to pay additional compensation to employees when they worked more than 40 hours in a work week." Over 190 employees were listed in the court file seeking back pay. While still under Pritzker's control, the company initially disputed the charges but then agreed to a judgment by the court in March of 2017 and was ordered to pay more than $110,000 in back wages and damages. Other court documents show that about two dozen of the workers received more than $1,000 at the conclusion of the case. [Illinois Governor Bruce] Rauner wants to help business at the expense of workers. Governor Rauner’s extreme "turnaround agenda" fails to acknowledge the enforcement and investigative work that must be done to protect workers. The Pritzker campaign did not respond to a request for comment. Apollo Industries again earned headlines after a chemical spill in the Chattahoochee River was traced back to an Apollo plant in Smyrna, Georgia, in August 2016. According to Fox 5 in Atlanta, "[t]he company confirmed that an estimated 2,300 gallons of carburetor cleaner leaked from its tank, out of the building and into a creek," which then fed into the Chattahoochee River. Numerous media outlets in Georgia reported that the EPA had begun a criminal investigation into the spill, and the company suspended parts of its operations for a time while investigating the cause but also working with the EPA on a cleanup. Emails to the company requesting comment were not returned. Pritzker won the Democratic nomination for governor on March 20. The Illinois businessman comes from one of the wealthiest families in America, and his own net worth is valued at approximately $3.5 billion, according to Forbes. Pritzker's critics suggested that the party establishment unfairly tipped the scales in his favor. "An inevitable candidate. Accusations of a rigged primary. Early commitments from organized labor," Politico reported in December. "The Illinois Democratic primary for governor sounds a lot like Hillary Clinton's 2016 presidential primary campaign — which didn't end up well for the party." Governor Rauner (R.) was more direct. "He [Pritzker] has rigged his Democratic primary. He has rigged it, ladies and gentlemen. If you guys won’t report it, shame on you," Rauner told a group of reporters at the time. "He has rigged the system; he controls it. It's a Mafia protection racket." Because both Rauner and Pritzker are wealthy businessmen who can contribute heavily to their own campaigns, the Illinois governor's race is expected to be one of the most expensive contests in the country this year. This entry was posted in Politics and tagged Department of Labor. Bookmark the permalink.